If you don’t think you can really reduce your energy consumption, then go and talk to the Islanders of Eigg. By carefully managing their energy use, actively encouraging energy-saving in everyone’s daily life and generating 90% of electricity through renewable energy, the Islanders have cut their carbon by nearly 50%. All the climate change science goes over my head, but with the OWL meter and the 5 kW cap, it’s easy to learn how to use less energy. The Isle of Eigg is situated in the Inner Hebrides, off the west coast of Scotland, and is reached by ferry from Mallaig. As an island community of about 100 people it has always been expensive to import products, materials and skilled labour from the mainland, and this has encouraged a culture of self-sufficiency and careful use of resources. Today, although the island now has most modern conveniences, CO2 emissions per household are 20% lower than the UK average, and electricity use is 50% lower. Electricity consumption on Eigg has been kept low through a combination of demand management and behavioural change. Renewable energy, home insulation and solar water heating have also contributed to lower carbon emissions. The Isle of Eigg was owned by a succession of individual landlords until 1997, when the residents, the Highland Council and the Scottish Wildlife Trust formed the Isle of Eigg Heritage Trust to buy the island. It has an annual budget of about £200,000, and one full-time equivalent employee, but 30 volunteers also carry out various duties. The responsibilities of the trust include managing various community buildings and businesses, maintaining the Trust-owned houses and development of the island’s community and infrastructure. A subsidiary, Eigg Electric, is responsible for maintenance and operation of the island’s electricity generation and grid. When Eigg designed its electricity grid, which was switched on in February 2008, it quickly became apparent that in order to keep the capital build costs down it would be necessary to manage demand. This would also allow the island to generate most of its electricity from renewable sources, including a 100 kW hydro turbine, a 24 kW wind farm and a 10 kWp solar photovoltaic array. Eigg manages electricity demand mainly by capping the instantaneous power that can be used to 5 kW for a household and 10 kW for a business. If usage goes over the limit, the electricity supply is cut off and the maintenance team must be called to come and switch it back on again. All households and businesses have an OWL energy monitor, which displays current and cumulative electricity usage and sounds an alarm when consumption reaches a user-defined level, usually set a few hundred watts below the actual limit. 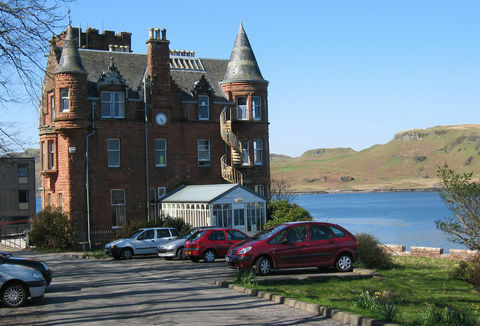 The result is that Eigg residents have a keen sense of how much power different electrical appliances use, and are vigilant in minimising energy consumption. 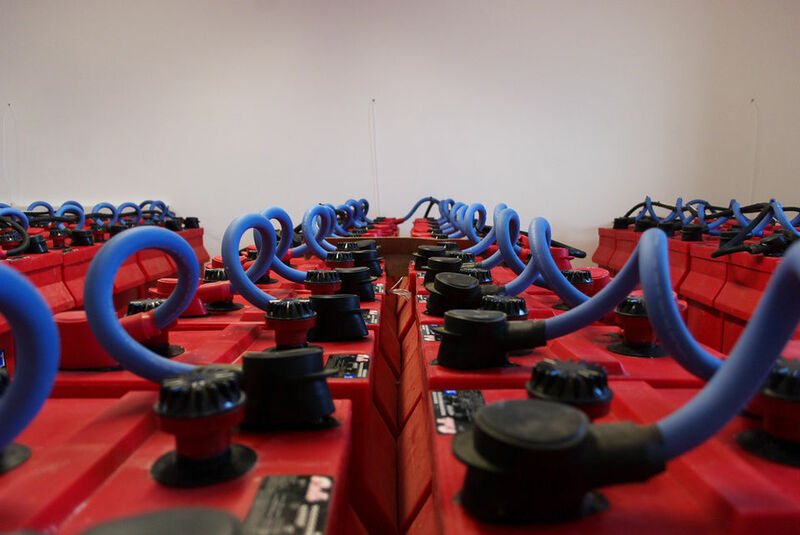 Demand is also managed by warning the entire island when renewable energy generation is lower than demand and the diesel backup generators are operating – a so-called ‘red light day’, as opposed to ‘green light days’ when there is sufficient renewable energy. Residents then take steps to temporarily reduce electricity demand further still, or postpone demand until renewable energy generation has increased. New energy supplies are being developed, including sustainable harvesting of the forests to supply wood for heating. Energy use on the island has also been reduced through improved wall and loft insulation in homes, new boilers, solar water heating, lift-sharing and various small energy-saving measures in households. New energy supplies are being developed, including sustainable harvesting of the forests to supply wood for heating. Eigg Heritage Trust has installed insulation in all of its own properties at no cost to the tenants, while private properties have paid for their own insulation to be installed. The same applies for installations of solar water heating, although not all Trust properties have received this as yet. The Trust also operates a Green Grants scheme, where residents can claim 50% of the cost of equipment to reduce carbon emissions, up to a limit of £300. Purchases included bikes, solar water heating, secondary glazing, thicker curtains and polytunnels to grow fresh food locally rather than importing it. 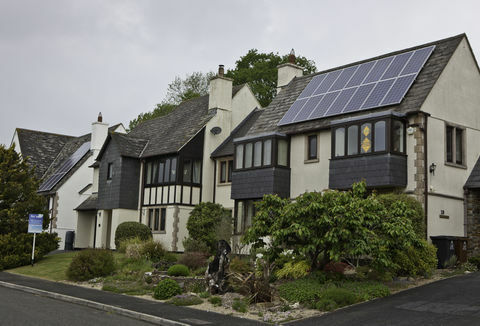 When the electricity grid was constructed, residents paid £500 for a 5 kW connection and £1,000 for a 10 kW connection, helping to fund the installation costs. There is a daily standing charge of £0.12 for a 5 kW connection and £0.15 for 10 kW, but all users pay the same rate of £0.20 per kWh used. 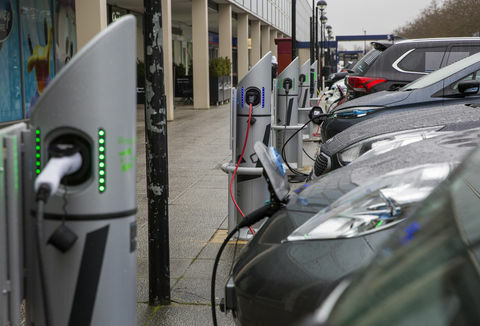 If the limit is exceeded and one of the maintenance team is called out to turn the power back on, a £20 charge may be levied, but so far this has happened so rarely that the charges have not been required. How is it promoted and maintained? 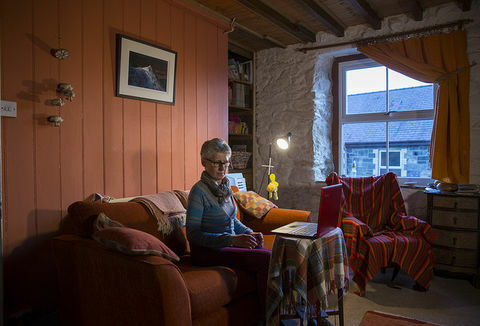 Every Eigg resident was given an OWL energy monitor when they were connected to the electricity grid in 2008, and any announcement of a ‘red light day’ for renewable energy supplies is quickly spread by email, phone and word of mouth. The whole community of Eigg has become engaged with environmental issues and is working to reduce carbon emissions, with numerous events held through the year to share ideas and experience. 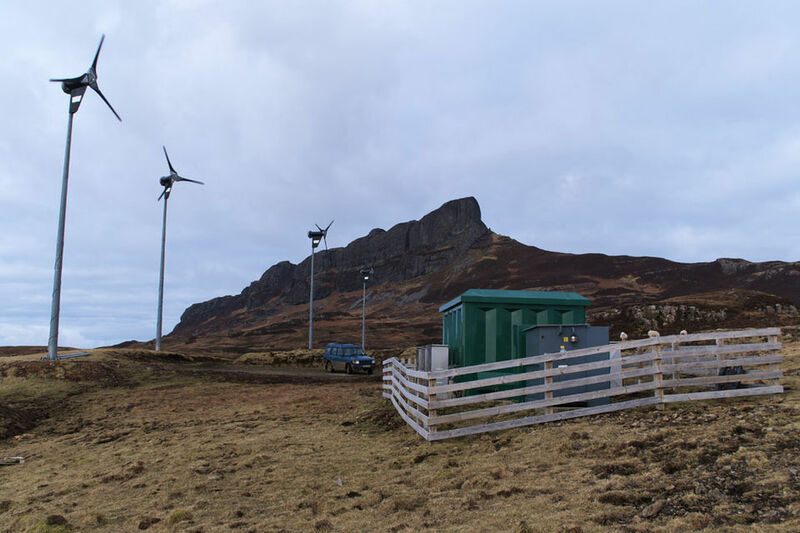 The renewable energy technology is maintained by a team employed by Eigg Electric, with backup from contractors when required. 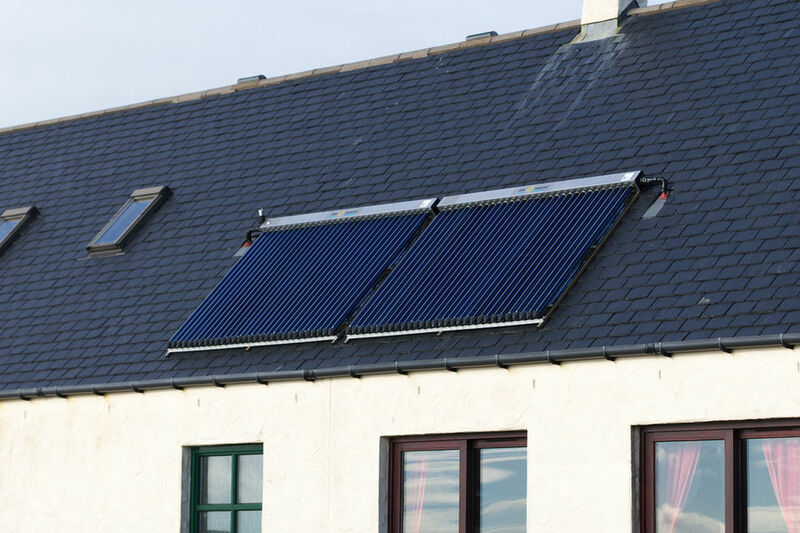 Equipment such as woodburners and solar water heating is maintained by households or by Eigg residents who have relevant training. Prior to the installation of the electricity grid and renewable energy generation, most households on Eigg used diesel generators to supply electricity, resulting in significant carbon emissions. Homes were also poorly insulated and had old, inefficient oil-burning boilers or used coal for heating. The work by the Eigg Heritage Trust to reduce energy use has resulted in significant reductions in carbon emissions from the island’s households and businesses, with insulation improved in 40% of homes, improved boilers installed, increasing amounts of wood being used for heating, renewable energy generation and 20% benefitting from solar water heating. Average annual electricity use per household is just 2,160 kWh, compared to a UK average in 2008 of 4,198 kWh. Domestic carbon emissions have fallen by 47%, from 8.4 to 4.45 tonnes/year. This compares to average UK household emissions of 5.5 to 6 tonnes/year. The emissions should fall even further over the next few years as the supply of wood for heating increases. Although the scope of the work is geographically limited, the island has received a steady stream of visitors seeking to learn more about its efforts to reduce carbon emissions and how they could be replicated elsewhere. The completion of Eigg’s electricity grid in 2007 has made a significant difference to the island’s residents, freeing them from dependence on diesel generators and providing them with a stable and affordable power supply. A reliable electricity supply has brought improvements in other areas, for example better treatment of drinking water in some houses and the elimination of the constant noise of diesel generators. Improved home insulation and heating has also yielded benefits, making it more affordable to keep homes at a comfortable temperature. 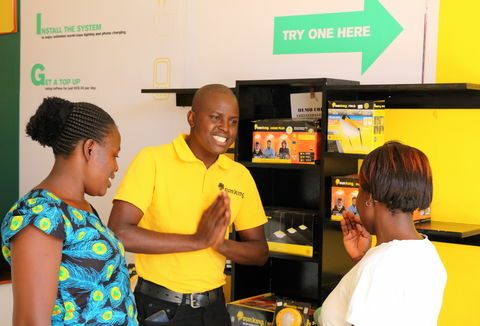 One of the incentives for capping electricity use rather than setting different tariffs according to usage was to make access to energy equitable. Every household has the same 5 kW cap, irrespective of income, so distributing the available resources equally across the island’s population. 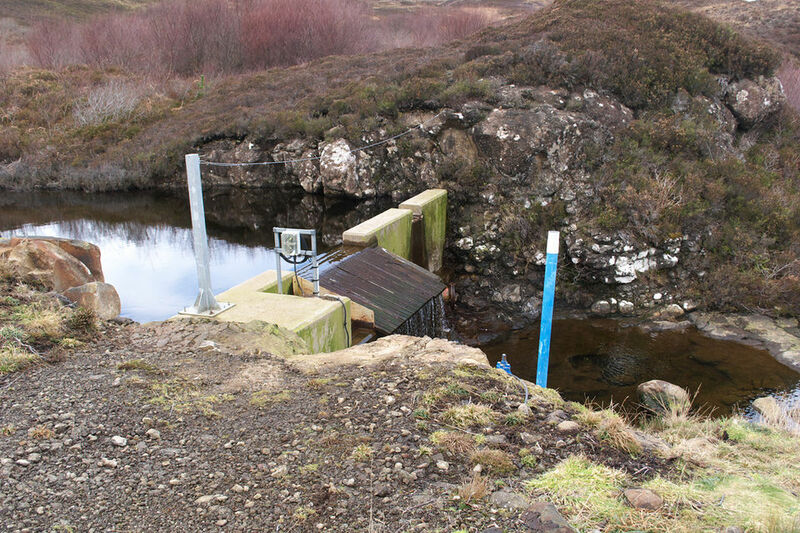 Eigg’s electricity grid supports four part-time maintenance jobs on the island, and residents have also been employed for building work to improve Trust properties. 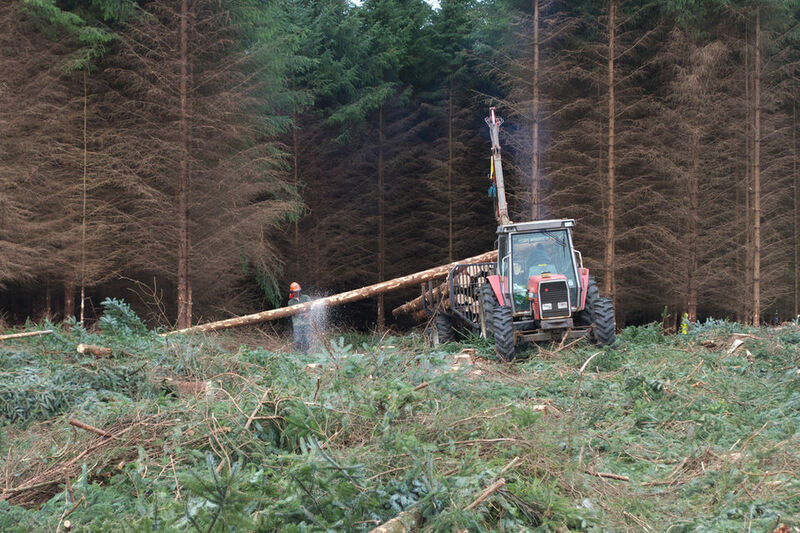 Likewise, the start of organised harvesting of wood for heating has created several forestry jobs for residents. A part time ‘green project manager’ post has also been created, which employs two people on a job share basis. A wider economic impact has come from having a reliable and affordable electricity supply, which has enabled several new businesses to start up. A wider economic impact has come from having a reliable and affordable electricity supply, which has enabled several new businesses to start up, including restaurants, shops, guest houses and self-catering accommodation. As Eigg has become known for cutting carbon emissions and protecting the environment, an increasing number of visitors have come to the island to learn about its work, bringing a further economic benefit to the residents. 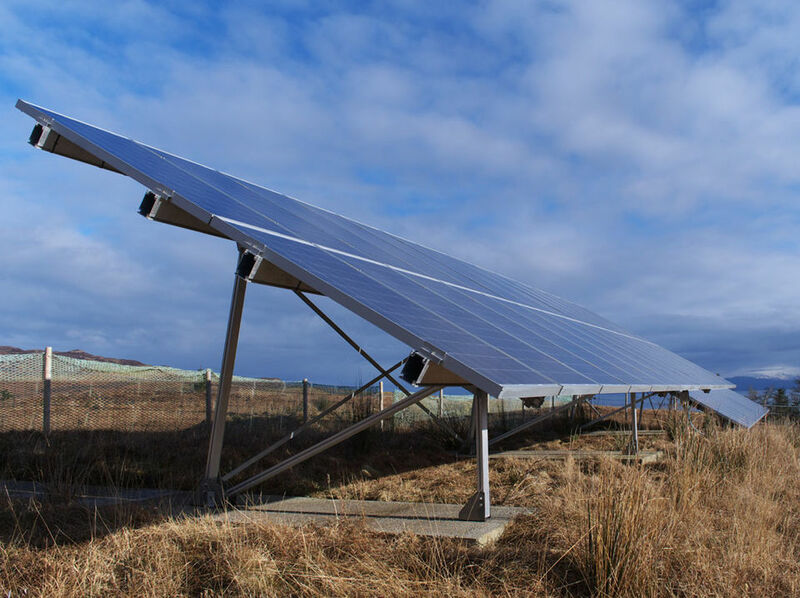 As an island without a connection to the mainland grid and limited funds for energy imports, Eigg has had to embrace demand management, energy efficiency and renewable energy in a way not yet seen in the rest of the UK. However, the UK as a whole cannot continue importing coal, oil, gas and electricity indefinitely, and has committed to cut carbon emissions by 34% by 2020, and 80% by 2050. While Eigg’s community electricity grid powered by small-scale renewable energy generation is only directly replicable for similar isolated communities, there are lessons in demand management and efficiency that the UK and other developed countries could learn from. 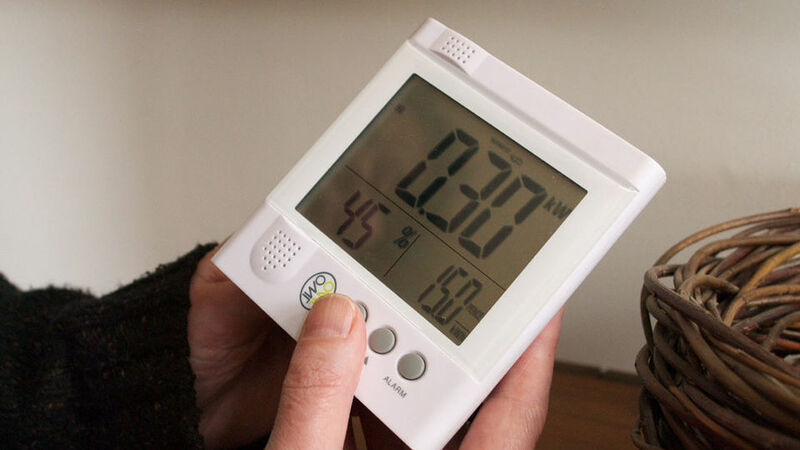 The proposed installation of smart meters in every home in the UK by 2020 will provide people with an incentive to manage their electricity demand. The way in which the community has become motivated to act together to reduce energy use and carbon emissions is also a model that could be replicated elsewhere, especially in rural areas. A community-led approach to saving energy works better than legislating from the top down, as people are involved.